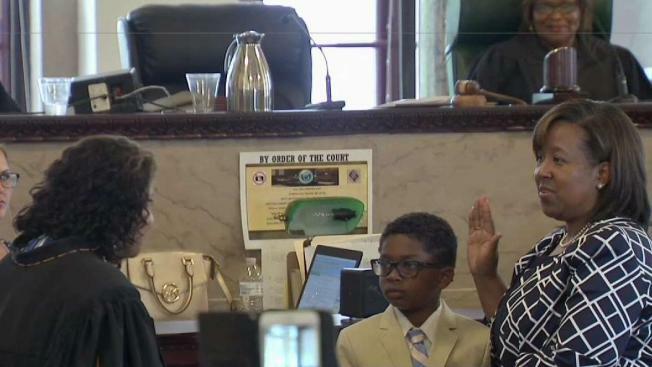 Kelley Hodge was sworn into office Monday as the new Philadelphia District Attorney. She is now the first African American woman to lead the city's DA's office. NBC10's Erin Coleman has the story. 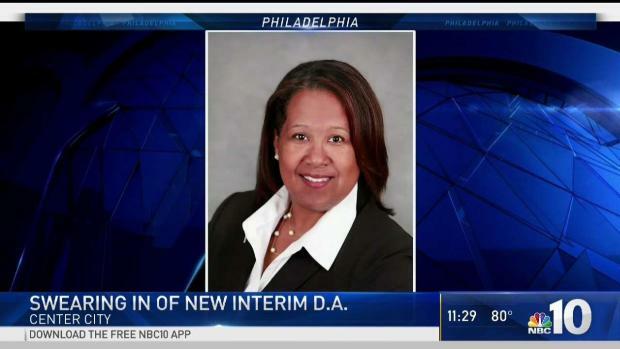 Philadelphia has its first African-American female district attorney after a board of city judges named a former prosecutor to fill the office left vacant by the bribery conviction of Seth Williams. Kelley Hodge was installed at noon Monday. Hodge was selected Thursday to serve as interim district attorney until the next top prosecutor takes office in January following a city-wide election. She was chosen by the judges from a slate of candidates, including former district attorney Lynne Abraham. Hodge began practicing law as a public defender in Virginia in 1997 and joined the Philadelphia district attorney's office in 2004 before entering the private sector. Philadelphia makes history as Kelley Hodge is sworn into office Monday as the first African American woman to be district attorney. Hodge takes the position after Seth Williams who stepped down following his guilty plea in a federal corruption case. Her appointment comes after the resignation of Williams amid a federal bribery conviction. He is awaiting sentencing. The district attorney's office has released a statement welcoming Hodge back to the office.